In late July, a friend of mine from high school and his wife lost their six-year-old son to a rare brain tumor. This little boy, who loved dinosaurs and Legos, underwent what looked like a crushing regimen of radiation and steroids that left his body swollen and largely immobile during the last seven months of his life. There is something surreal about reading the obituary of a child who never had a chance to start first grade. Death comes to us all, but when a cancer diagnosis leaves a kid with less than a year to live because there’s no hope for a cure, the futility becomes overwhelming. As I watched this tragedy unfold from afar through social media, I felt a nagging sense of powerlessness, because there was nothing I could do to stop the inevitable. But there is something I can do now. I can donate to one of the hundreds of well-regarded pediatric cancer foundations. Here’s why that’s so important: The vast majority of cancer research dollars go toward fighting adult diseases. Of the National Cancer Institute’s annual $5 billion budget, only about 4 percent on average is spent on projects specifically aimed at combating childhood cancers, though another quarter is dedicated to basic research that could theoretically help both pediatric and adult cancer patients. The lack of government funding means that it’s up to private charities to fill in the gaps. “Philanthropic support is astronomically important, to the point that if families and foundations don’t raise the money, this research wouldn’t happen,” says Dr. Mark Kieran, director of the pediatric neuro-oncology program at Dana-Farber. Kieran, who studies some of the most fatal brain tumors, funded an entire $2.5 million clinical trial solely through donations. The fact that pediatric cancers are rare — there are only about 15,000 cases diagnosed each year in the United States — is a good thing, but it also means that these diseases are harder to fight. Fewer patients means a smaller pool for clinical trials. It also means that there is less of an incentive for drug companies to develop therapies that could help prolong a child’s life. Usually, cancer drugs are developed for adults and then approved for use in children. This is an imperfect solution because young patients whose bodies haven’t fully developed metabolize these medications differently. The bar for taking the initial steps to develop treatments for childhood cancers is quite high, given these market forces. By some estimates, there have been only a handful of new drugs created specifically for pediatric cancer since the 1980s. That rate of development is a challenge for the doctors working to keep their youngest patients alive. 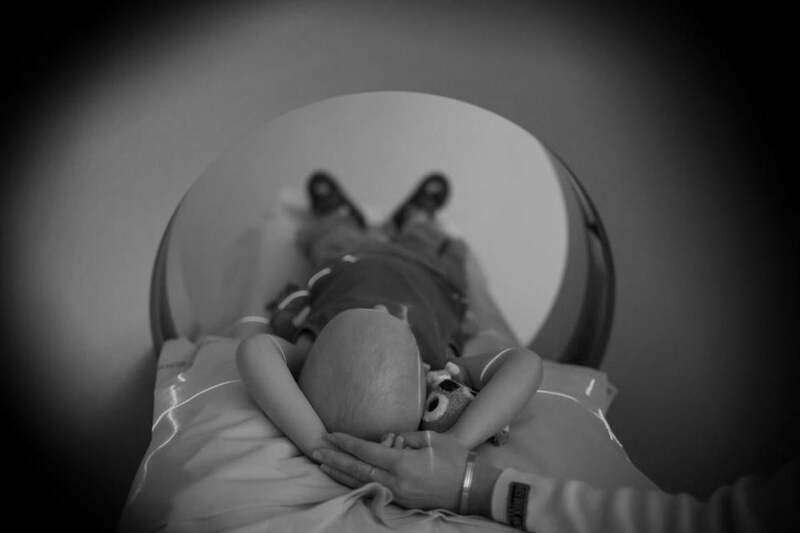 Researchers have made tremendous progress with certain childhood cancers like acute lymphoblastic leukemia, which has a cure rate of about 90 percent. But painfully little progress has been made in other areas where doctors must still rely on the same protocols that were used 15 or 20 years ago, with just a few minor tweaks. My friend’s son was diagnosed with a diffuse intrinsic pontine glioma, known as DIPG, a tumor that affects between 200 and 300 children a year and leaves little room for hope; most patients die within a year of diagnosis. The five-year survival rate is less than 1 percent. Whatever I can give today won’t bring back my friend’s son. But it might just make the difference for the next six-year-old trying to get to the first grade. Laura Colarusso can be reached at laura.colarusso@globe.com. Follow her on Twitter @LauraColarusso.